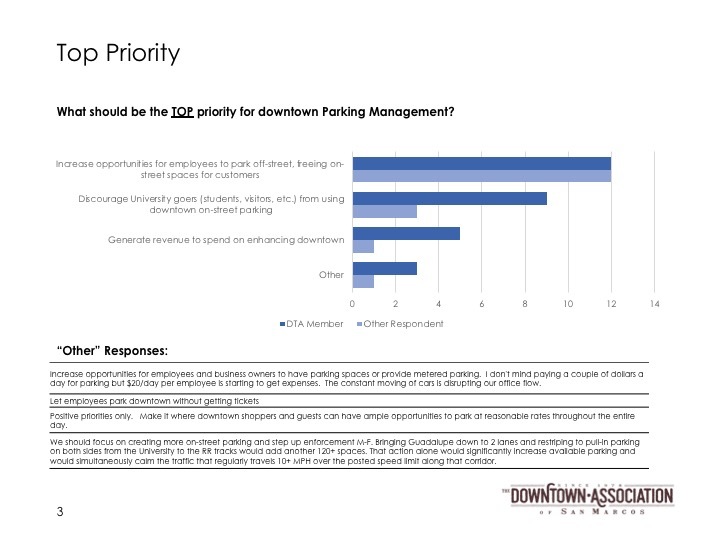 The Downtown Association Parking Subcommittee is actively working with the City of San Marcos on parking management downtown. We’re focused on near-term solutions and implementation. That means solutions for enhanced availability for customers across all time-periods, enforcement preventing abuse by non-downtown users (e.g., University), options for downtown employees, and more. 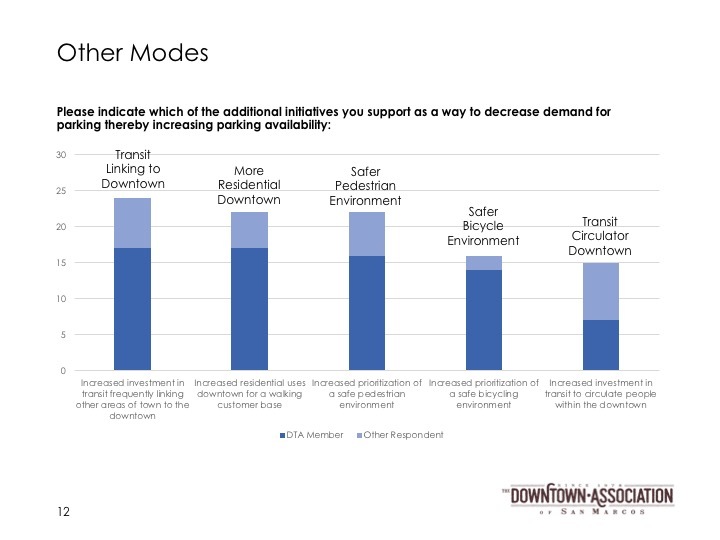 To assist in this effort, the DTA conducted a survey from May to June 2018 and subsequently presented the data to City Staff and Council. 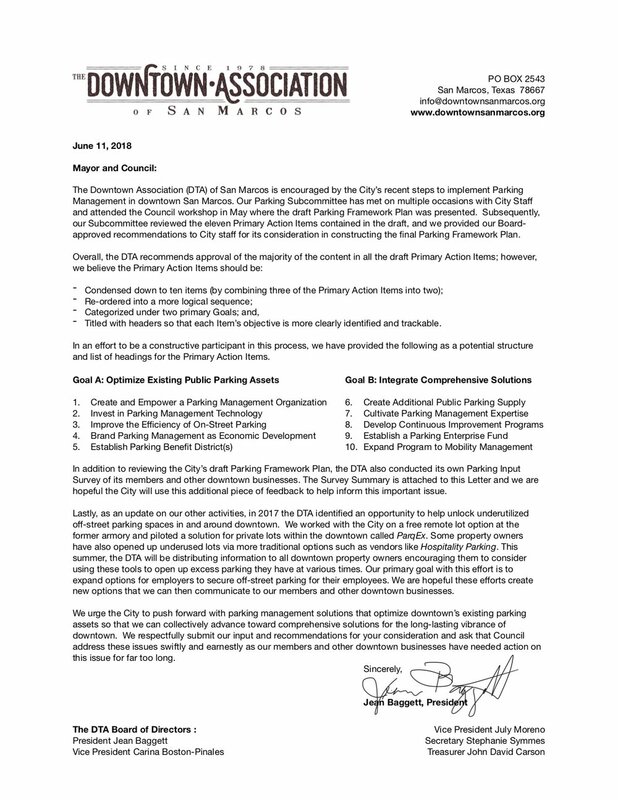 In addition, the DTA simultaneously endorsed and provided input to the City on their Parking Management Framework Plan, which was adopted on June 19th. 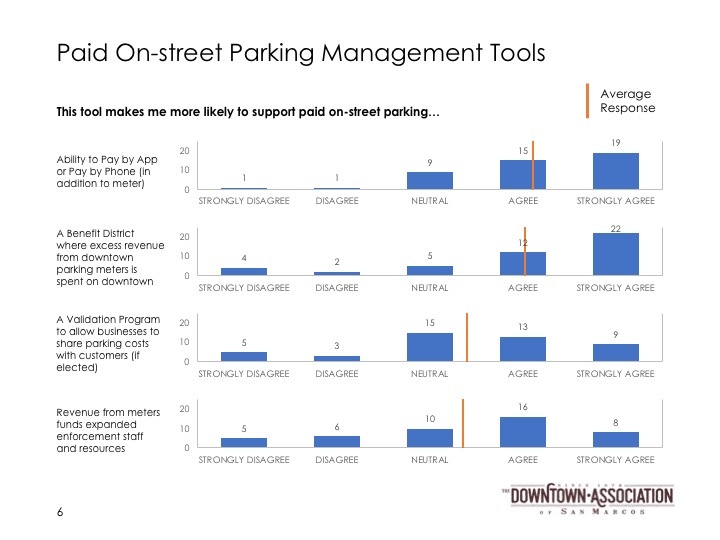 The results of the DTA Parking Survey and the Letter submitted to Council are below. Have more to say? 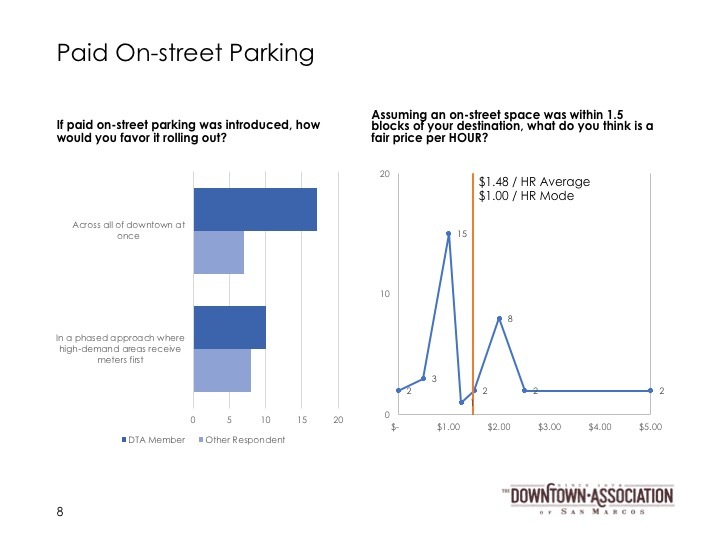 Members can apply to be on the DTA Parking Subcommittee or attend the next monthly meeting.